Faces, an easy way to put pictures on your password lock. Have you ever wanted to have your phone personal to you? Then Faces is here for you. 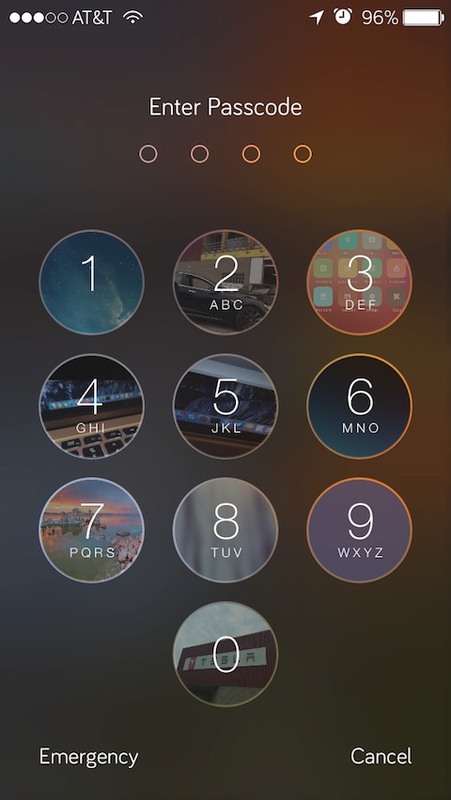 From when you download it you can visit settings and add your own pictures for each dot of the passcode lock view. After that, you can change images whenever you want, and even change the opacity of the images. Follow @benrosen0 and @CPDigiDarkroom on Twitter! Works on all iOS 7 & 8 devices. For best experience, use 0.5 opacity. Changed the twitter handle and emails in the settings pages to match with current contact methods.